A couple weeks ago I finally saw Moana. I know, I know, I know. I’m late to the party, everyone and their brother has seen the movie and talked about it. I feel like the strongest part of Moana was it’s character development. 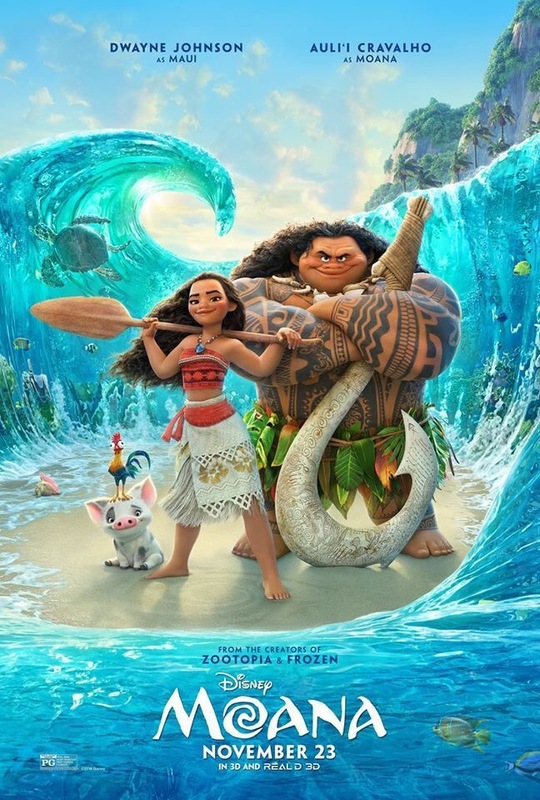 Moana and Maui grow so much as people and it really is a joy to watch. Where the story lacks in plot and storyline, (there was a plot hole or two) it makes up for in music and its characters. Ok, last week I said that I cried while watching the movie and I wanted to explain why. The opening number, Where You Are, hit me really hard. I got emotional at the fact that Moana was just trying to love the ocean and her love was being stifled. It was also hard because that while she really loved her people, she was making a sacrifice of her own passions for them. It just made me really emotional and resonated with me. I hope you all enjoyed Moana as much as I did!